In Los Angeles, you may encounter wildlife when you’re walking your pet, playing outdoors with your children or jogging down a trail. The Department of LA Animal Services is reminding the community to be safe and keep away from sick and deceased wildlife that could potentially carry rabies. Rabies is caused by a virus that is usually transmitted through the saliva from a bite of an infected animal. According to The Los Angeles County Department of Public Health, bats are the animals that most commonly carry rabies in Los Angeles County. About one out of every 12 bats tested by the health department has rabies. Rabies can occur in other wildlife such as skunks, coyotes, foxes and raccoons but rabies has not been detected in other wild animals in the County for over twenty years. Despite the low rabies cases, it’s important to know that wildlife could have the fatal disease and to take precautions to protect yourself and your family including your furry family members. The best way to protect your family is to vaccinate your dogs and cats. State law requires, all dogs four months or older to be vaccinated. It is also highly recommended that cats be vaccinated. If your pet encounters wildlife, especially if it is bitten or comes in contact with their saliva, wear rubber gloves when handling your pet, cleanse any wounds with soap and water and take him or her to a veterinarian for examination. If you come in contact with bats and other wildlife, alive or dead, do not touch the animal with your bare hands. If you find a sick or injured wild animal, call LA Animal Services at 888-452-7381 and follow the prompts. Never feed wildlife. It is against the law, under L.A.M.C. 53.06.5, to feed predatory mammals (badgers, bobcats, bears, coyotes, mountain lions, opossums, raccoons, skunks, etc.) in the City of LA. Animal-proof your trash. Put all trash bags inside the garbage cans and keep them securely fastened with tamper proof lids. Closely supervise children and pets while outside. When walking your dog, keep them on a leash. Don’t let them roam free. It’s against the law, under L.A.M.C. 53.06 to take your dog off the leash when off your property. Feed your pets indoors. Leaving food and water outside often attracts wildlife to your yard. Recently, during a public meeting, a citizen said that she has been feeding coyotes to keep them from eating her cats. This is not only illegal, it only encourages coyotes and other wildlife to move to her backyard where they can have a regular food supply. Although this lady meant well, she is really inviting more coyotes to her neighborhood and creating an unsafe situation. We must stop feeding wildlife and encourage them to move back to the undeveloped areas away from people and pets. If you are ever bitten, scratched or otherwise exposed to saliva from wildlife, cleanse the contact area with soap and water. Call your physician or the health department and get medical attention immediately. For more information about rabies, visit The Los Angeles County Department of Public Health’s website at http://publichealth.lacounty.gov/vet/rabies.htm. This entry was posted in LA County Information on October 1, 2016 by vnncadmin. Beginning October 1, 2015 through March 31, 2017, people with qualifying unpaid traffic tickets and infractions whose fines were originally due to be paid on or before January 1, 2013, may have their debt reduced by 50 or 80 percent depending on income and have their driver’s license reinstated. The program also includes a waiver of any civil assessments. People whose unpaid fines and fees were originally due to be paid after January 1, 2013, are not eligible for a reduction for that ticket, but may be eligible to have their driver’s license reinstated, if they are in good standing on a payment plan with the County of Los Angeles comprehensive collection program. On June 24, 2015, Governor Brown signed into law Senate Bill 85, which provided for a one-time mandatory eighteen month Statewide Traffic Tickets/Infraction Amnesty Program for unpaid traffic and non-traffic infraction tickets. Known as the “Traffic Tickets/Infractions Amnesty Program,” this state legislation makes the amnesty program available through March 31, 2017. Anyone eligible to have a driver’s license, including undocumented individuals who are eligible for a driver’s license under AB 60, is entitled to participate in the traffic amnesty program if they meet the eligibility requirements. Those interested in the program must contact GC Services, the Los Angeles Superior Court’s collection agency at (800) 950-6280 (English) or (800) 939-8068 (Spanish) or via their website at www.trafficticketamnesty.com, or by visiting one of the GC Service windows at an LA County Superior Court location. For more information, visit http://www.courts.ca.gov/trafficamnesty.htm. If you have unpaid traffic tickets and/or a suspended license, take advantage of this program today to reinstate your driver’s license and reduce your ticket debt! This entry was posted in LA County Information, Outreach, Public service announcement on October 8, 2015 by vnncadmin. Today LADOT Bike Program installed a new bicycle corral at the Peddlers Creamery, 458 S Main St in Downtown Los Angeles. This is also one of the newest Bicycle Friendly Business Districts. BTW, the creamery makes ice-cream in small batches by peddling a stationary bicycle hooked up to a churning machine. This is a marriage made in heaven. Bicycling and ice-cream, who knew!! This entry was posted in LA County Information, Los Angeles Department of Transportation (LADOT) on June 21, 2015 by vnncadmin. Las Virginas Homeowners Federation (LVHF) – RIM OF THE VALLEY CORRIDOR UPDATE! CITY OF AGOURA HILLS AND VENTURA COUNTY BOARD OF SUPERVISORS LEAD THE ‘RIM’ WAY! Kudos to Agoura Hills and the Ventura County Board of Supervisors for leading the way re: Rim of the Valley Corridor! 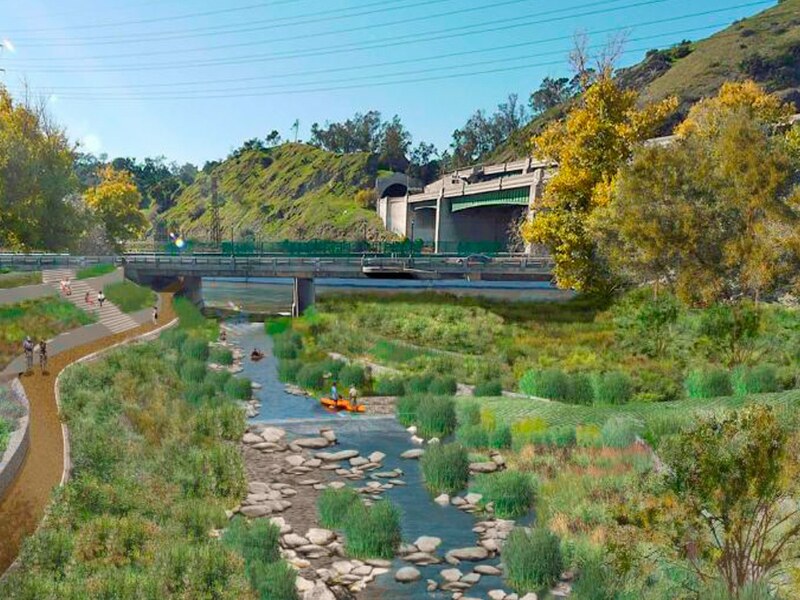 Last Wednesday, Agoura Hills, our Gateway City to the Santa Monica Mountains, voted UNANIMOUSLY to support Rim of the Valley Corridor – Alternative D! And yesterday, likewise, the Ventura County Board of Supervisors – lead by Supervisor Linda Parks, in a 4-1 vote endorsed Rim of the Valley Corridor – Alternative D.
Alternative D is being championed by Congressman Adam Schiff who has been driving the Rim of the Valley Corridor effort for more than a decade. He was joined recently by six other members of Congress including: Reps. Ted Lieu, Judy Chu, Tony Cardenas, Brad Sherman, Xavier Becerra, and Lucille Roybal-Allard. The Rim of the Valley Coalition is a broad collection of diverse organizations based in Ventura and Los Angeles Counties who are also all working together to ensure Alternative D comes to fruition – as is the Santa Monica Mountains Conservancy. As you know, the National Park Service (NPS) evaluated and studied the feasibility and suitability of designating all or a portion of the Rim of the Valley as a unit of the Santa Monica Mountains National Recreation Area. 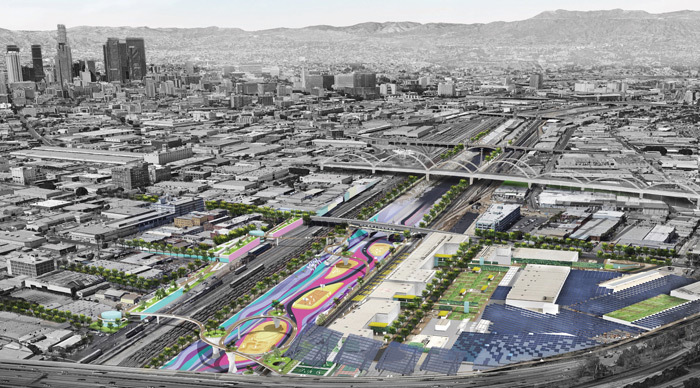 The study included four options – Alternatives A, B, C and D. D is the most acreage expansive and would comprise a boundary adjustment for our national park that takes in new territory from the sea through several mountain ranges, wrapping a wildland/urban park rim around the valleys – and it includes an overlay for the Los Angeles River. delivers the most benefits to all. 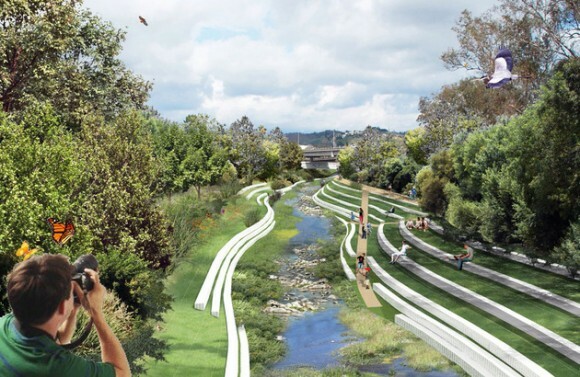 It provides more parks for more people, engages more urban audiences and affords more recreation with better access – and – it is the most cultural and natural resource protective. D is very much focused on connectivity. It links a comprehensive, vital network of wildlife corridors and pristine habitat critical to saving our threatened wildlife – and – it preserves more of our rich biological diversity and rare Mediterranean eco-system. Alternatively, option C for example, would leave thousands of acres of “nationally significant resources” without adequate protection. quality of life and commerce. Public comments are due to NPS by June 30. LVHF’s e-comment letter is forthcoming. This entry was posted in LA County Information, Public service announcement, Van Nuys Neighborhood Council (VNNC) on June 19, 2015 by vnncadmin.